Latin for “new skin”. 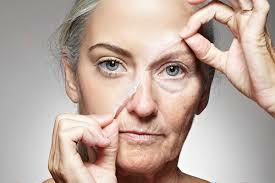 A new and very expensive line of skin care and anti-aging products touted to keep you young forever. These “state of the art” creams and lotions were developed in a Swiss lab and contain PSP®, an amazing proprietary breakthrough in skin rejuvenation. Obviously, the name NEOCUTIS is intended to suggest that the user of this product can have “new skin”. What is not so obvious: NEOCUTIS actually is new skin! Check out their website (very nice). Dig just a little bit and read the fine print. PSP® is derived from the cells of an aborted 14 week “fetus”. To be specific, one individual pre-born little boy who has a name that only God knows. This precious one’s life was taken, his body harvested, his cells grown in a laboratory, concocted into a cream, and sold to aging men and women trying to hide the decay of their once youthful faces. Sinners trying, in vain, to escape paying the inevitable wages of sin. We are killing our children, grinding up their little bodies, and smearing them on our faces, vainly hoping to hide the marks of our sinfulness. What a diabolical irony! Was there ever a more barbaric, debased, and truly deluded generation than our own? Surely, the ancient peoples that practiced human sacrifice would be bewildered to see what has become of their “sacred” rite. Modern man may be shocked that these earlier cultures sacrificed their children to idols; as well we should be. Yet, it surely never entered the mind of ancient man that he was not only the one offering the sacrifice but the very idol as well. There is a depth of insanity in our evil that not even ancient pagans were guilty of. We no longer need the false gods of antiquity; we can work the miracles ourselves. We have believed the oldest lie; we have become like gods. Pondering something like NEOCUTIS isn’t really like being hit upside the head with a brick, more like being crushed by a ton of bricks. God, by His Spirit, has given us a sound mind. We know that this world was created to reflect the glory and wondrous beauty of God, but through corruption it inevitably reveals the hideous and nightmarish insanity of sin. I am certain that I have not gone mad. I am equally certain that the world has. And it so very desperately needs the sanity of the Gospel.